Jurgen Klopp has taken time to wax lyrical about Xherdan Shaqiri, who has not put a foot wrong since signing from Stoke. In the summer, the Swiss shone in pre-season, scoring a magical bicycle kick against Manchester United on debut which hinted at what he could offer us. And since the season started properly, Klopp has switched from a 4-3-3 to a 4-2-3-1 to accommodate Shaqiri’s genius. 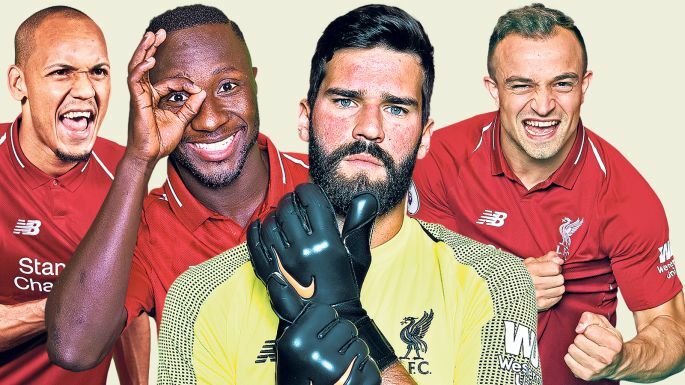 Of all the summer signings, which included huge money deals for Alisson, Fabinho and Naby Keita, Shaq garnered the least excitement – but his £13m transfer is looking like the best of the lot. “Yeah, or even more. What can I say?” Klopp told Liverpoolfc.com when questioned whether the 27-year-old is even better than he originally thought. Alisson has massively improved our backline of course, but after the international break, it’ll be time for Fabinho and Keita to start proving their worth as well. The Brazilian has done well in some games, but less so against better opposition, while Keita’s chances have been very restricted since a shaky start and some repeated injuries. If they can begin to make the same impact as Shaqiri, our midfield will improve tenfold and we’ll be able to keep pace with Manchester City – hopefully!